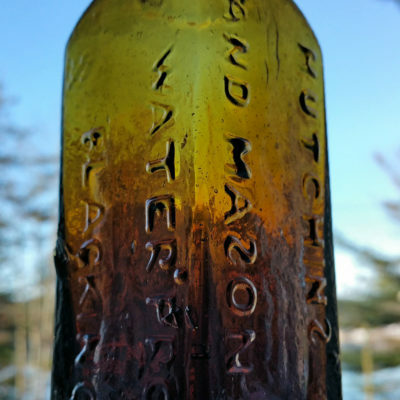 Home / Utilities / Important Stoddard Medicine Bottle! 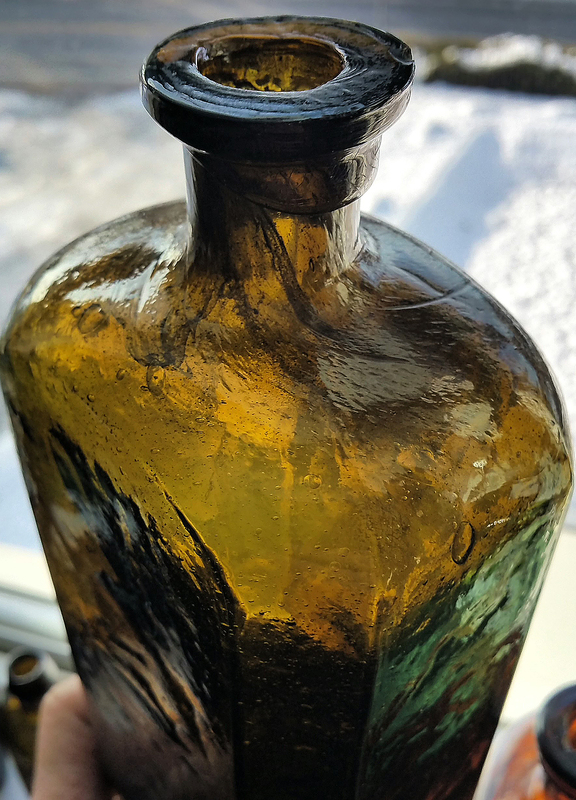 Here is an extremely rare LARGE SIZE (a little over 8″ tall) medicine bottle made at the Stoddard NH Glass Works, 1846-1855. 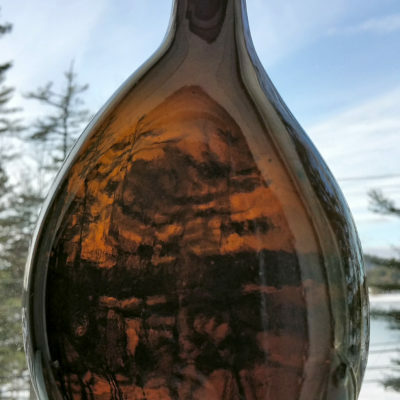 This is unembossed, but it is the exact same mold of the well-known desirable Chapman’s Genuine medicine bottle, also made in Stoddard. While I have seen 6-8 of the Chapman bottles, this is the only example of the unembossed form that I am aware of. I have never seen another one like this! It has been in my collection for almost 8 or 10 years now, but it is time to let someone else enjoy it. 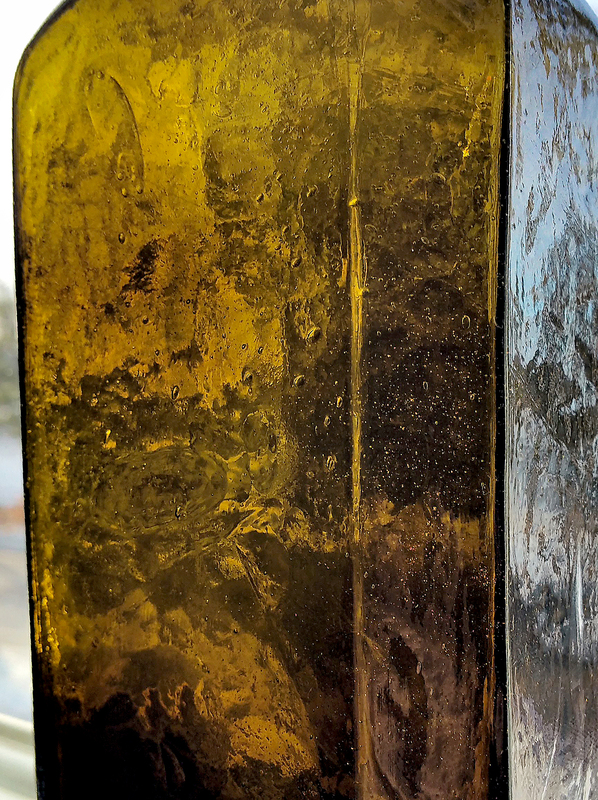 Sooo much Stoddard character in this one… it is truly a delight to handle! About perfect… there is a flat old flake off the top of the lip, otherwise pristine. The Chapman’s Genuine bottle brings upwards of 10k, this one is much more rare for a fraction of the price! 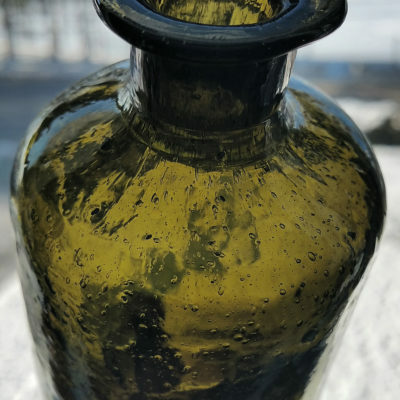 SOLD – Here is an extremely rare LARGE SIZE (a little over 8″ tall) medicine bottle made at the Stoddard NH Glass Works, 1846-1855. 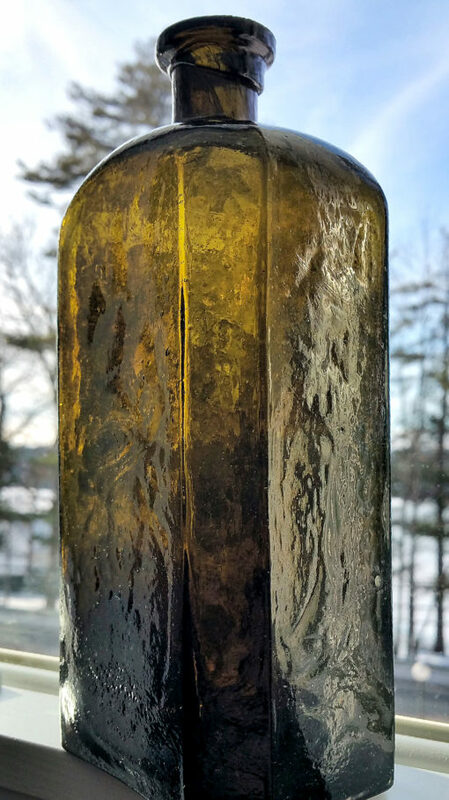 This is unembossed, but it is the exact same mold of the well-known desirable Chapman’s Genuine medicine bottle, also made in Stoddard. 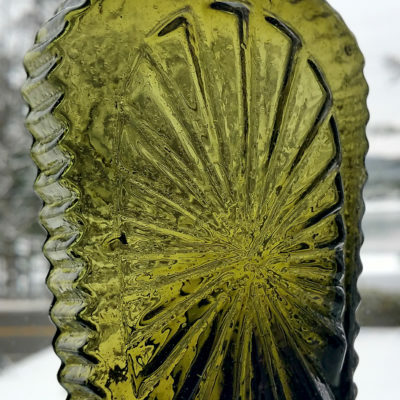 While I have seen 6-8 of the Chapman bottles, this is the only example of the unembossed form that I am aware of. I have never seen another one like this! It has been in my collection for almost 8 or 10 years now, but it is time to let someone else enjoy it. Sooo much Stoddard character in this one… it is truly a delight to handle! About perfect… there is a flat old flake off the top of the lip, otherwise pristine. 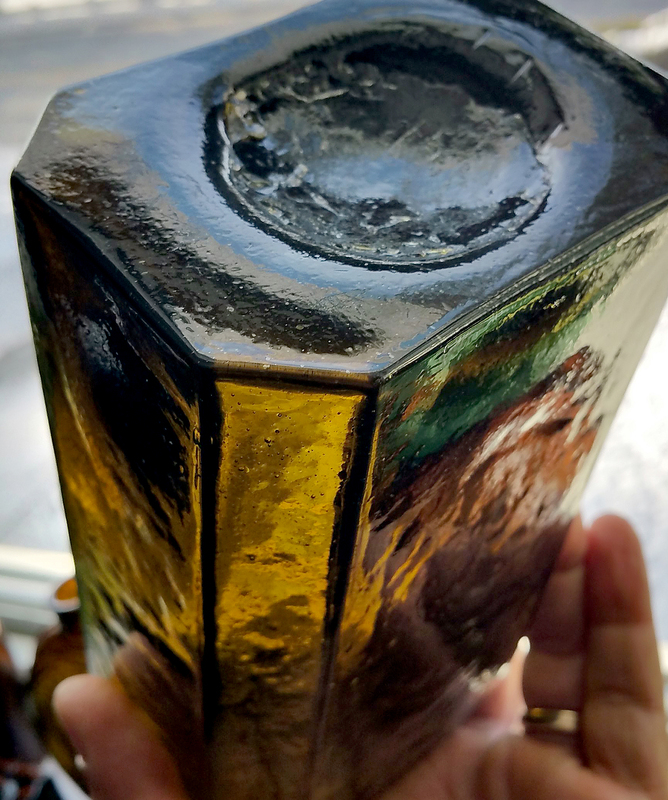 The Chapman’s Genuine bottle brings upwards of 10k, this one is much more rare for a fraction of the price!